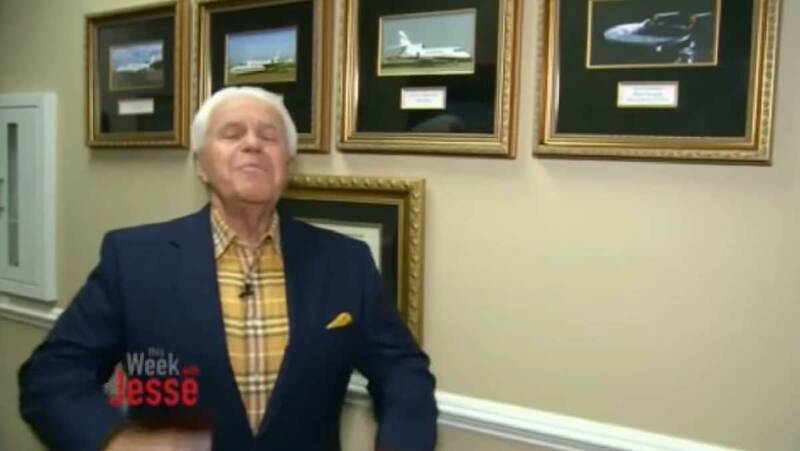 Televangelist tells his flock to buy him a $54 million jet: "It's what Jesus would do." Louisiana preacher Jesse Duplantis needs a new jet so he can share the good word with people around the world without having to stop and refuel, as he is forced to do with his current fleet of jets. “You know I’ve owned three different jets in my life and used them and used them and just burning them up for the Lord. Now, some people believe that preachers shouldn’t have jets. I really believe that preachers ought to go on every available voice, every available outlet, to get this gospel preached to the world... Let me just say this: we’re believing God for a brand new Falcon 7X so we can go anywhere in the world in one stop. Now people say ‘My Lord, can’t you go with this one?’ [points at one of his other jets] Yes, but I can’t go at one stop. " “He [God] told me: ‘Jesse, you want to come up to where I’m at?’ He said: ‘Before you ask, I’ll answer: Isaiah 65:24.’ He said: ‘I want you to believe me for a Falcon 7X.’"
He also say the "End Times is comin' fast." I've never heard a preacher say that before. He must be the real deal.